Luxury plating at its finest! 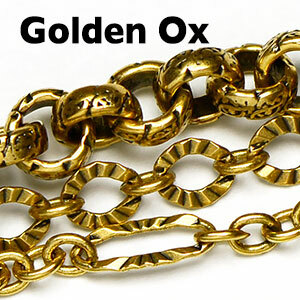 Expertly plated in the USA, the Golden Ox plate has the rich finish of Gold with the vintage look that many people love. 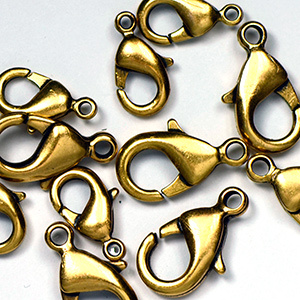 These chain styles and matching findings are beautiful and harder to make than bright gold options. This family of plated chains is real metallic gold, oxidized, over brass free from lead, nickel, mercury, cadmium, arsenic and chlorine/PVC.